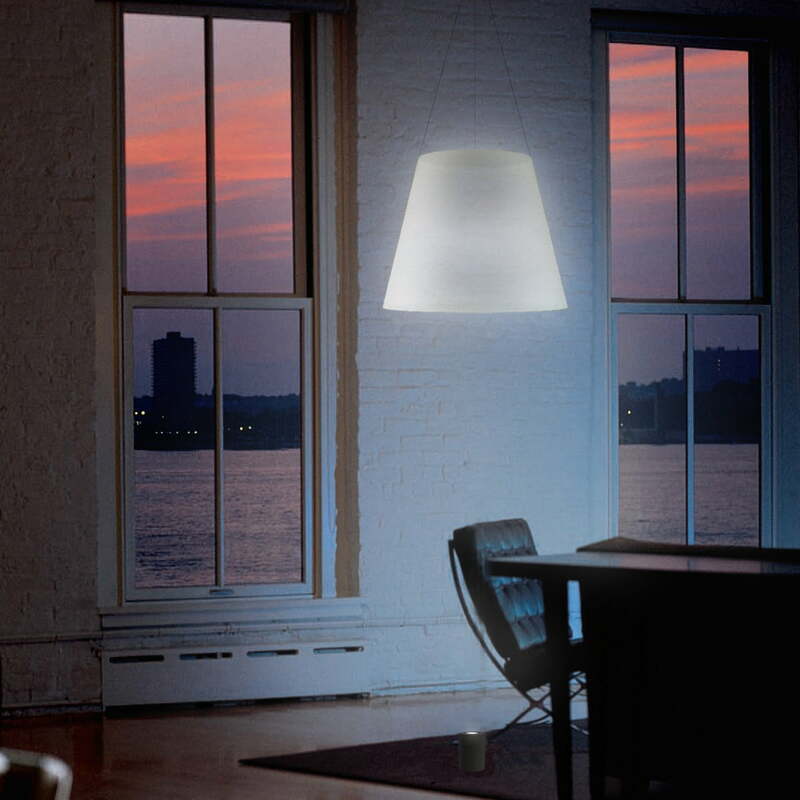 The Shade lamp made by the British designer Paul Cocksedge is a light novelty. It is unique in its function being a hybrid out of floor and pendant lamp. 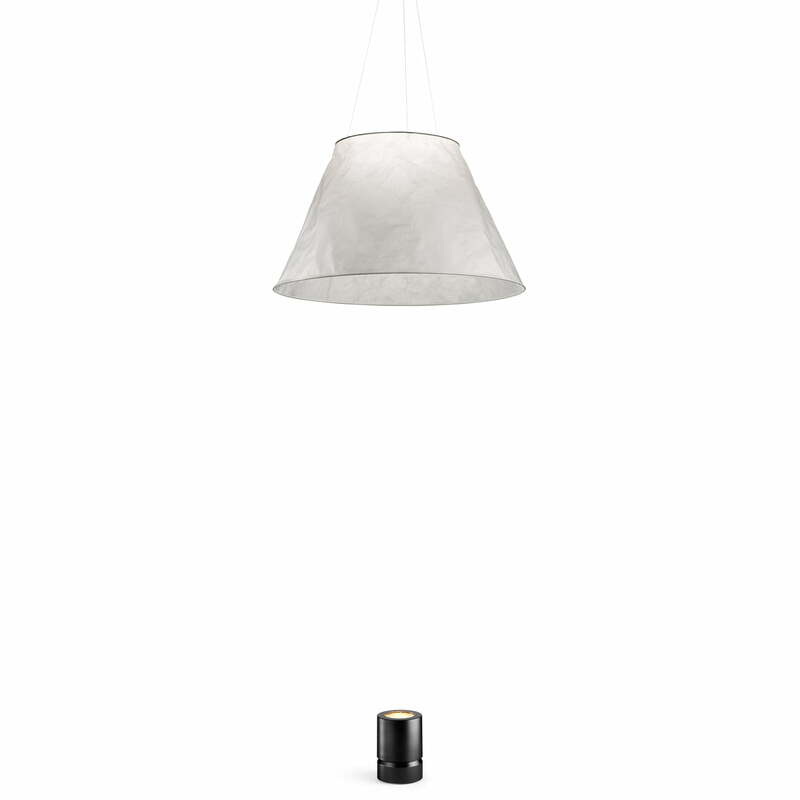 Shade re-defines the concept of what we think a “lampshade” is. The fine and nearly invisible wires that fix the shade at the ceiling are responsible for the floating appearance of the lampshade. This is very simple and still effective because of the surrealistic feelings it transmits. Shade renounces being like the common lamps systems with cables and joints. 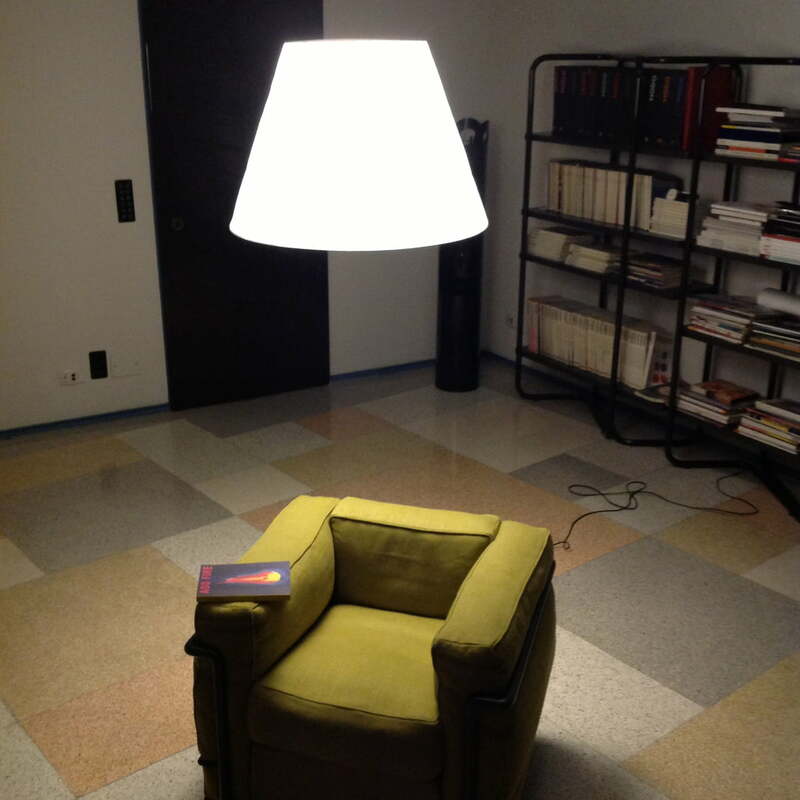 Instead it has a paper shade, which is nearly invisibly fixed at the ceiling, and which has a LED fixation on the ground, which lightens the paper lampshade form below. Shade’s name also reveals te interplay of the lampshade with shadows. This name given by Cocksedge refers to the two characteristics of the lamp. Since the height of the lampshade in the room decides about the shadows it spreads on the ceiling. The shadows and the special white light support the surreal character of the Shade lamp. The light intensity can comfortably be decreased to 50% by means of a dimmer. 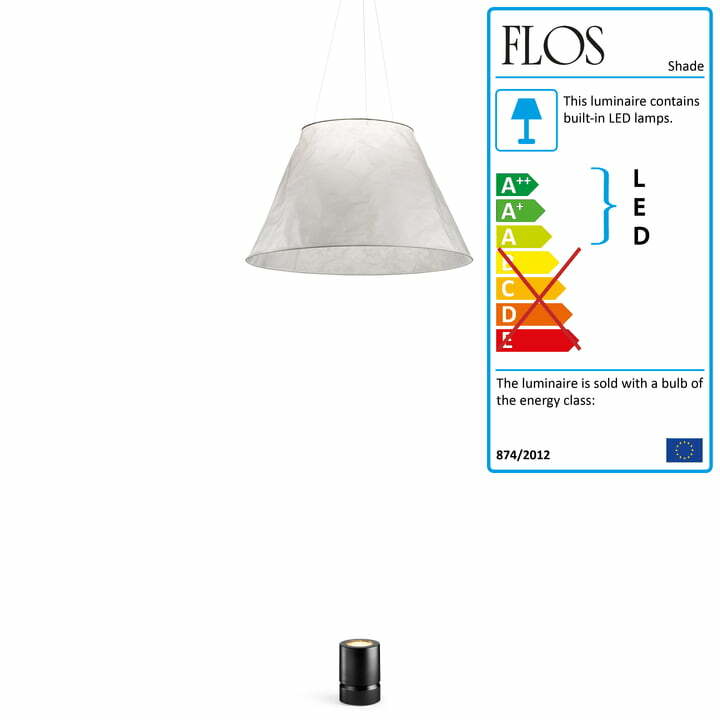 Find more details and completed assembly instructions in the Flos video and the PDF.